15 accidents per year in Copenhagen's most dangerous intersection has been reduced to just one. 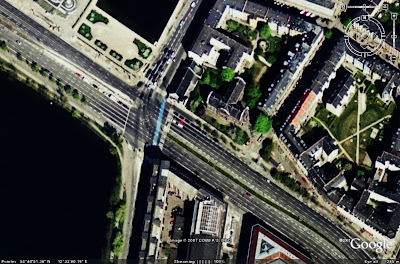 The results are quite concrete after Copenhagen City redesigned the intersection at Gyldenloevsgade and Soegade by The Lakes in inner Copenhagen a year ago. 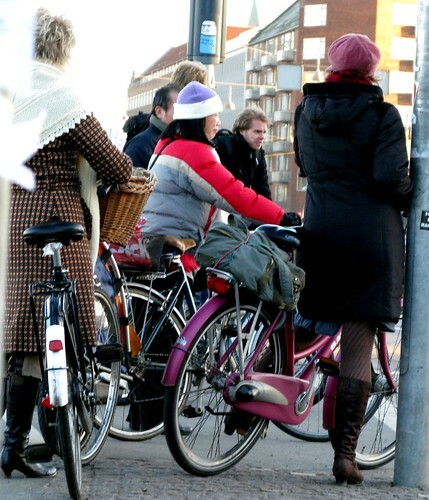 In Copenhagen, many intersections have both traffic lights for cars and separate ones for bikes. The solution was coordinating the bike traffic lights to change to green a couple of seconds before the cars. A simple solution. It is worth noting that the intersection is a major cycle artery for bike commuters. Over 25,000 cyclists a day on weekdays cross the intersection. If you calculate that there are 260 weekdays in a year, that means that 6,500,000 million bikes cross the intersection annually. With that in mind, 15 serious accidents is not a bad statistic. Reducing that to one is spectacular.